In the past month, business valuation professionals have read reviews from a number of practitioners serving as reviewers for the Q&A Guide. All of them are positive. In this book review, we go into a little more detail and discuss what these established and accomplished business valuation professionals and leaders answer in the Q&A Guide. So, what does this book cover? What is not covered? These questions are answered in this review. In the past month, business valuation professionals have read reviews from a number of practitioners serving as reviewers the Q&A Guide. All of them are positive. In this book review, we go into a little more detail and discuss what these established and accomplished business valuation professionals and leaders answer in the Q&A Guide. So, what does this book cover? What is not covered? The Q&A Guide is divided into four chapters. James Hitchner (Hitchner), Dr. Shannon Pratt (Pratt), and Jay E. Fishman (Fishman) respond to a total of 157 questions. In the general section, the authors answer questions such as: Is there ever a good reason to present both the capitalized cash flow and discounted cash flow method? How do you adjust the capitalized cash flow method for higher expected short-term growth rates? Many analysts make depreciation and capital expenditures equal in a capitalized cash flow model and the terminal year of a discounted cash flow model, is that a correct assumption to make? Should I use tax or book depreciation when determining the cash flow to be discounted or capitalized? How do you use Risk Management Association data to determine debt-free working capital in an invested capital discount cash flow or capitalized cash flow model? How do you decide what weights to place on a valuation method—for example, say the capitalized cash flow method of the Income Approach—which is often the primary valuation method for smaller businesses? In the section on capitalized cash flow method, the authors tackle the following questions: What are the criteria for weighting historical earnings in a capitalized cash flow method? Are sensitivity analyses useful in determining what historical periods should be weighted in a capitalized cash flow method? (Side note: here again, we see the authors add comments from reviewers of the Q&A Guide.) Is it better to use a direct-to-equity method or a direct-to-invested-capital method when applying the capitalized cash flow method? What factors do you consider when determining excess compensation? What is the proper way to reconcile values? In the section focused on the discounted cash flow method, the authors tackle questions such as: What period should you use for purposes of determining the present value of the terminal year value when using a mid-year convention discounted cash flow model? How do you normalize capital expenditures and depreciation in the terminal year of a discounted cash flow model? How do you account for excess depreciation and amortization in the terminal year? How do you determine long-term working capital needs in the terminal year? Here again, the Q&A Guide provides illustrations and guidance to new and experienced practitioners. One of the first questions addressed is, “Are discount rates applied to after-tax income/cash flow? Does there need to be an adjustment if they are applied to pre-tax income/cash flow?” The authors devote a number of questions regarding the Duff & Phelps CRSP data and use of the Risk Premium Toolkit. In addition, they answer: What type of data is in the Duff & Phelps Valuation Handbook—Industry Cost of Capital? Should an analyst use an arithmetic or a geometric equity risk premium in the modified capital asset pricing model and the build-up model? Duff & Phelps CSRP decile 10 and subdecile 10a are vastly different; how can you use one or the other to value the same company? Can the size premium be negative? What is the implied equity risk premium recommended by Dr. Damodaran? How do the Damodaran return calculations compare to the Duff & Phelps return calculations? Is there an accurate way to estimate company-specific risk? What is the best way to use industry risk premiums? Control Premiums, Lack of Control Discounts, and Minority Discounts. The first question addressed is whether there is a difference between marketability and liquidity, or a discount for lack of marketability and discount for lack of liquidity? The authors then proceed to answer a host of questions, such as: Does illiquidity apply to controlling interests as well as minority interests? If so, what discounts for lack of liquidity or lack of marketability are applicable to controlling interests? (This is a controversial area!) Can I apply a discount for lack of marketability to a 100% controlling interest in a private company by using the various studies that compare values and multiples from public vs. private companies? Is there empirical evidence on discounts for lack of control in 50/50 ownership situations? When valuing a 50% interest, with the other owner having a 50% interest, do you take a control premium or lack of control discount? Should a lack of control discount be applied in addition to a discount for lack of marketability in the valuation of a minority interest in a closely held S corporation? Should I using Mercer’s Quantitative Marketability Discount Model (QMDM)? We hear that the QMDM has not been accepted by the courts or others, is that true? What option models are the best to use, if any, for discount for lack of marketability for a minority interest in a private company? Chapter 4, Business Valuation Standards and Ethics, resolves the remaining 33 questions. Here, the authors provide an overview of USPAP, NACVA-IBA Standards, AICPA SSVS Section 100 and Review Services, and answer questions regarding calculation engagements. The chapter answers a host of questions raised by professionals accredited by the different valuation/appraisal organizations and how they must comply and report. In the section on calculations, they answer: When can a valuation analyst use the calculation engagements and reports? Can a summary or calculation report under AICPA SSVS VS Section 100 be used for estate and/or gift tax purposes? Can a valuation analyst provide an opinion of value in a calculation engagement under AICPA SSVS VS Section 100? Can a valuation analyst have an opinion of a calculated value in a litigation setting where the valuation analyst is an expert witness? With respect to this question, the authors share their thoughts and guidance, noting “from a practical perspective, the valuation analyst must decide whether he or she believes the ‘opinion’ of a calculated value meets the requirement of the legal venue in which the valuation analyst is to testify;” and note that in some federal jurisdictions, the analyst and counsel will need to discuss whether the proposed opinion meets the sufficiency and reliability standard. This is a solid resource that combines the insight of three accomplished valuation professionals and also those of reviewers. 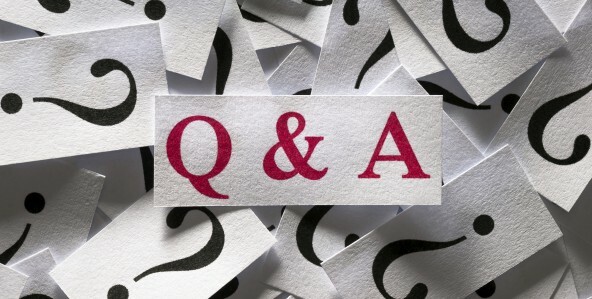 In short, this Q&A Guide is an easy and packed source of information. While the book does not cover tax–affecting or questions regarding built-in gains or IP, they cover the building blocks—discounts, cash flow methods, and ethics cost of capital. The book is ideally suited to solo and small firm practitioners that ask many of these questions or should be considering these questions as they prepare a valuation or are engaged in a consulting or expert role. Roberto Castro, Esq., MST, MBA, CVA, CPVA, CMEA, BCMHV is Technical Editor of QuickRead. Mr. Castro is a Washington State attorney with a focus on business, bankruptcy, exit and succession planning, wills, probate, trusts, and gun trusts. He is a member of WealthCounsel and NACVA. Mr. Castro is also managing member of Central Washington Appraisal, Economic & Forensics, LLC and a business broker with Murphy Business. Mr. Castro can be contacted at (509) 679-3668 or by e-mail to rcastro@rcastrolaw.com or rcastro@cwa-appraisal.com.